This article contains fast, interesting, fun facts about Astarte for research, schools, students and kids providing an insight into the lives and religious beliefs of the ancient Egyptians. This goddess of Egypt was 'adopted' during the New Kingdom period of ancient Egyptian history from the war goddess Ishtar who was worshipped in Mesopotamia, Canaan and Syria. 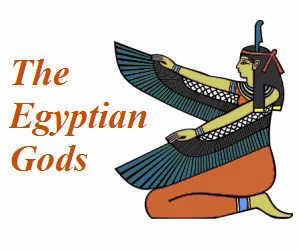 She became one of the recognised goddesses of ancient Egypt during the 18th Dynasty of the New Kingdom period. She was the Egyptian goddess of Horses and Chariots and venerated as a powerful and violent war goddess. The Hyksos, meaning "foreign rulers", introduced the horse and the chariot to ancient Egypt during the 13th dynasty of Egyptian kings and by the 18th dynasty the expert use of the horse and chariot Egyptians had enabled them to rise to the peak of the Egyptian Empire. The worship of Estarte the goddess of war, horses and chariots is understandable during this time and she was revered by Egyptian soldiers. The aggressive nature of the goddess was represented by the bull horns that were associated with her in Egyptian iconography. The priests of Egypt 'modified' the creation myth to include the war goddess and she was named as a daughter of Ra and the wife of Set. In certain areas of Egypt she was named as the daughter of Ptah. Depictions of the goddess were similar to that of Hathor, in her war-like manifestation of Sekhmet, the lioness goddess who was said to breathe fire at the enemies of the pharaoh. Sekhmet was seen as the protector of the pharaohs and led them in warfare. Her symbols were the lion, the horse, the chariot, the sphinx, and a star within a circle indicating the planet Venus which was also closely associated with Hathor. Facts and information about Astarte for kids with some amazing, cool and quick information about ancient Egypt and Egyptians. These fast interesting facts about Astarte are ideal for children, homework, schools, teachers and kids of all ages. 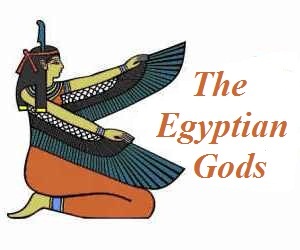 Learn about the ancient Egyptian goddesses the fast and easy way via the Astarte Fact sheet. The Egyptians practice of merging gods is called 'syncretism' which means the fusion of religious beliefs and practices to form a new system or to create a new god. The goddess was also connected with fertility and sexuality, and many images of the goddess portrayed her as naked, especially in the Post Empire period of Egyptian history. This goddess takes her place in history as the original of all figureheads depicted on sailing ships. 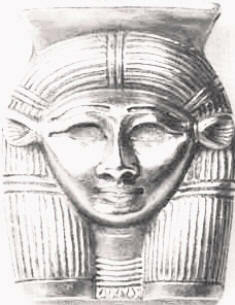 Like her counterpart Ishtar she was depicted wearing a headdress consisting of four pairs of horns topped by a disc. She was associated with sexuality as she was said to have taken many lovers. The bawdy aspect of her attributes strongly appealed to the ancient Egyptian military.